Third set of classrooms in background, workers constructing steps on retaining wall. March 2016, Teachers celebrating 7 years since school was started. The journey to school for the children of Savannette was a long walk down the mountain and across the river to the city of Jacmel. Often times the river was flooded, and the children could not return home to be with their families. They were forced to stay with families in town so they could attend school. 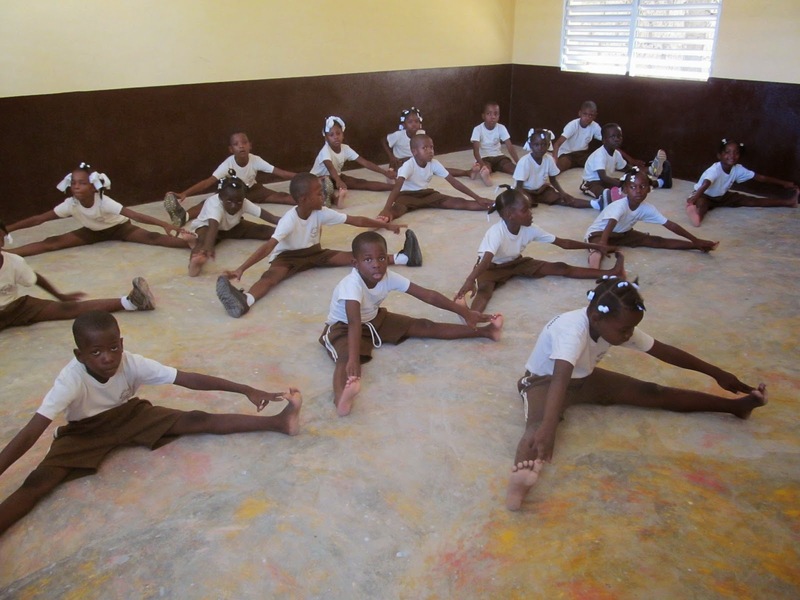 For this reason, Hands Helping Haiti built a facility that the community is using as a school. Construction began in the spring of 2009. The first classes began in the fall of that same year. 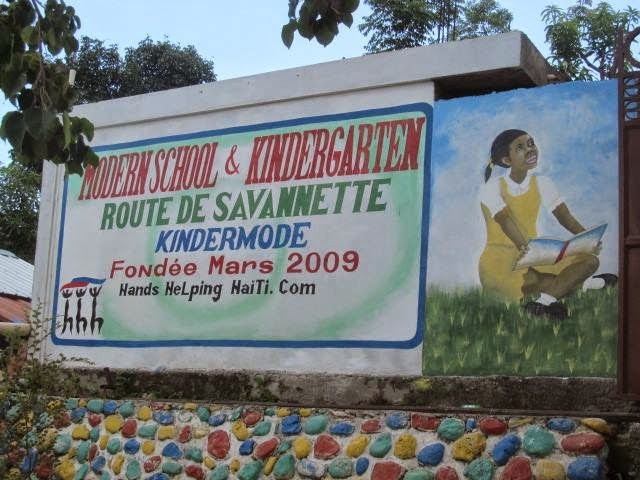 The community named the facility the Modern School and Kindergarten of Savannette. We have added several new buildings since construction began. We now have 4 buildings with a total of 11 classrooms. We have grades preschool through seventh grade. For the 2018-19 school year, there are 249 students, 12 teachers, 3 aids, 2 service workers, a principal and a security guard. 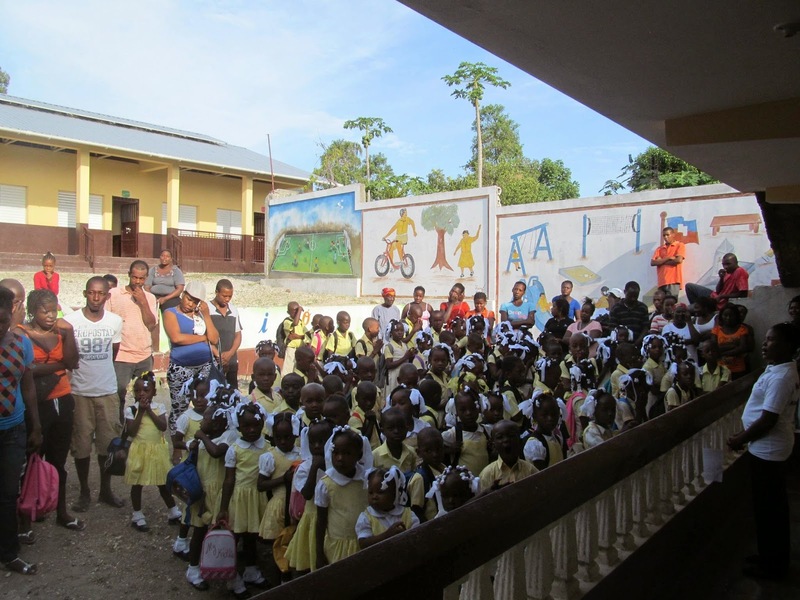 Hands Helping Haiti is partnering with Kids Around the World to build a playground at the school. Help us build a playground by donating to this project! Thanks to donations, each student and all the workers receive a hot lunch every day. 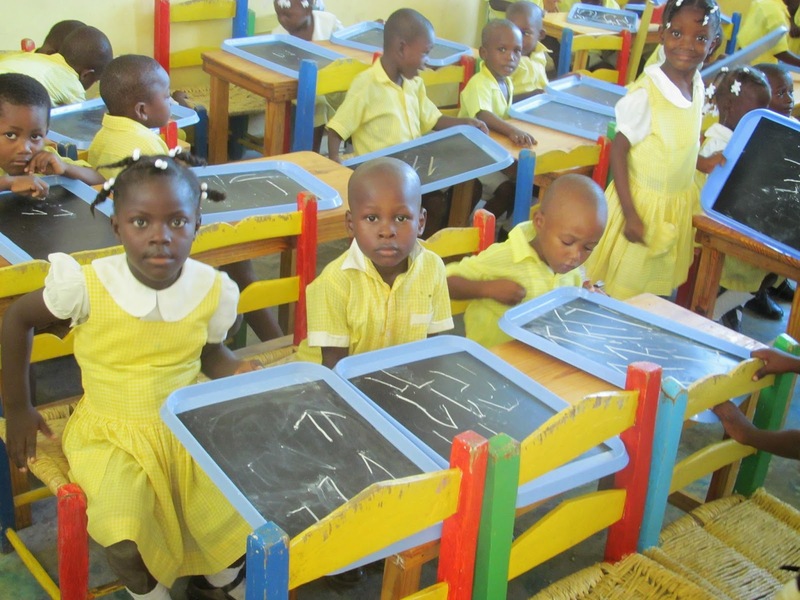 Haitian cooks prepare the meals onsite, and each student eats in the classroom.